Love buffalo wings? If you do, you’ll love these! 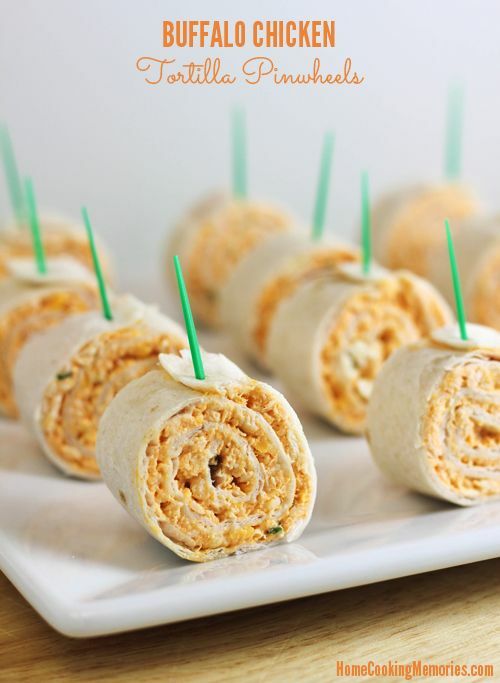 Buffalo Chicken Tortilla Pinwheels are a delicious party food with all the flavors of buffalo wings + blue cheese, but without the mess.Buffalo Chicken Wings have been a sports party favorite for a long time and, eventually, someone came up with the genius idea of making a Buffalo Chicken Dip. The cool thing about the dip is that you get all the same flavors of Buffalo Wings, but you get to dip — or scoop — with crackers, chips, and celery sticks.